Paid At Colon Crowned Circle, Colon entire to Cartagena, entered the mails with British Post Office dated "A/Colon/AP/22/68". 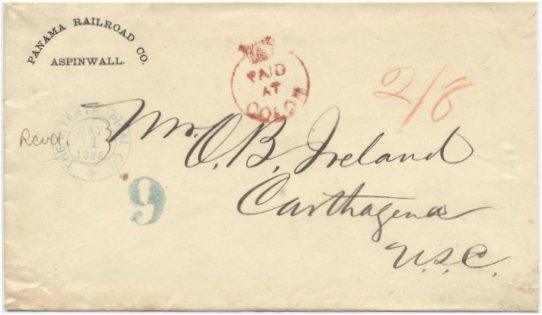 A rare crowned circle "Paid At Colon", Great Britain manuscript "2/8" double rate and large Colombia rate stamped "9", received by addressee May 11. Very fine strike.